Nothing delays a job like discovering damaged material in the middle of a project. With Excellent Services Carpentry Services we take these damage repairs in stride. As your one-stop resource for painting and carpentry repair, we can handle repairs from minor jobs like windowsills and new doors to major projects like restorations and replacement. 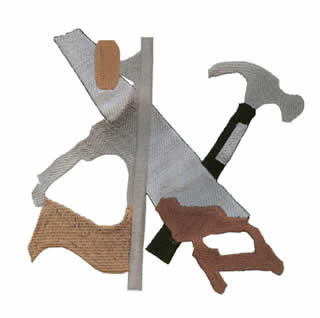 At Excellent Services, you get quality carpentry at a competitive price. If we spot rotted wood or areas in need of repair, restoration or replacement while quoting a job, we will point it out and offer to have a representative from our carpentry department give you a quote to complete the work. Our Carpentry Supervisor will visit your job site, discuss the areas of concern, and then, provide you with a separate detailed written estimate for your review. Be certain of quality carpentry work with Excellent Services. Excellent Services carpentry crews perform a wide variety of repairs, restoration, and replacement work. This includes, but not limited to Windowsill repair, Stairs, Roofs, Gutters, Trim repair and replacement, Deck repair and replacement, siding repair and replacement, and other miscellaneous carpentry repairs.